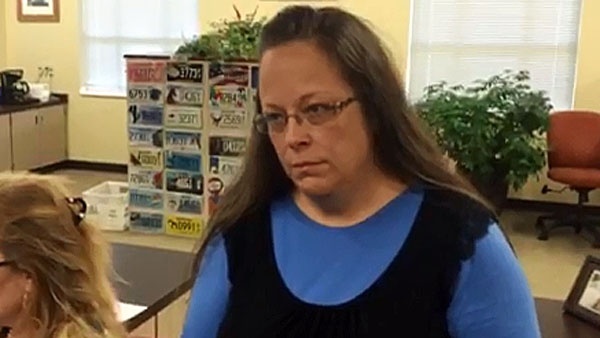 MOREHEAD, Ky. — An attorney for Brian Mason, the Kentucky deputy clerk that has been issuing marriage licenses to homosexuals in place of Kim Davis, told U.S. District Court Judge David Bunning on Friday that he believes Davis has altered the licenses to a point that they are invalid. As previously reported, after Bunning released Davis from jail on Sept. 8, he demanded that she not interfere with her deputy’s issuance of the licenses and ordered status reports presented to his office every two weeks. “Within those reports, Counsel shall report on their clients’ respective compliance with the court’s August 12, 2015 order enjoining the Rowan County Clerk from enforcing her ‘no marriage licenses’ policy, as well as its order of September 3, 2015 requiring them to issue marriage licenses to all eligible couples in compliance with the court’s prior order,” he said. When Davis returned to work on Sept. 14, she announced in a press conference that while she would not stop her deputies from issuing the licenses, the documents would not bear her name—as her request from the beginning of the battle was that the licenses bear the name of another authority. On Friday, attorney Richard Hughes, who represents Mason, told Bunning during the required status report that he is concerned that Davis has changed the licenses to the point that they are invalid. The documents have been replaced with those that do not include Davis’ name, nor the name of any deputy clerk or even the county. They simply require Mason’s initials with a notarization stamp. “Mr. Mason’s concern is he does not want to be the party that is issuing invalid marriage licenses and he is trying to follow the court’s mandate as well as his superior ordering him to issue only these changed forms,” Hughes told the court. “It also appears to this counsel those change were made in some attempt to circumvent the court’s orders and may have raised to the level of interference against court’s orders,” he asserted. But Mat Staver of Liberty Counsel, which is representing Davis, said that Davis is not violating the order.